About me:- "I have always said that I have the best job in the world and now I am so pleased that I can share the pleasure with new facilitators! Even when I have one of ‘those days’, going into one of our lovely schools and seeing the enthusiasm of the children and those smiley faces lifts me like nothing else. Since I began Thumbs Up, we have presented to many schools throughout Wirral, Liverpool and Cheshire; every time a new school comes ‘on board’, I get such excitement from meeting new children and being inspired once more. As a company I will continue to evolve Thumbs Up as we work in new schools, meet new teachers, parents/carers and children, I will continue to learn from them – which I do every single time I work in a new school and I will ensure that Thumbs Up continues to offer that ‘personal touch’ that has been so successful with the company thus far. I am also a very proud Governor at Orrets Meadow - a school I work in on a weekly basis all year round, which certainly enables me to see the workings of schools from the perspective of the teachers. In my spare time I love to spend time with my wife, daughter and son (and our gorgeous cocker spaniel Louis), I also like to read, spend time with good friends, going on holiday - especially in our motorhome - 'Freda', cycling (on an electric bike!) and love nothing more than getting stuck into a really good box set on Netflix…and of course preparing for more sessions with Thumbs Up (does that make me boring?!!!)" Fun fact about Sue:- “I love music and love to dance and sing, but can’t do either very well…but I don’t let that stop me. Often can be seen in my Thumbs Up van belting out a tune or two"
Fun fact about Louise:- "I can juggle and speak Dutch (sometimes both at the same time!)" 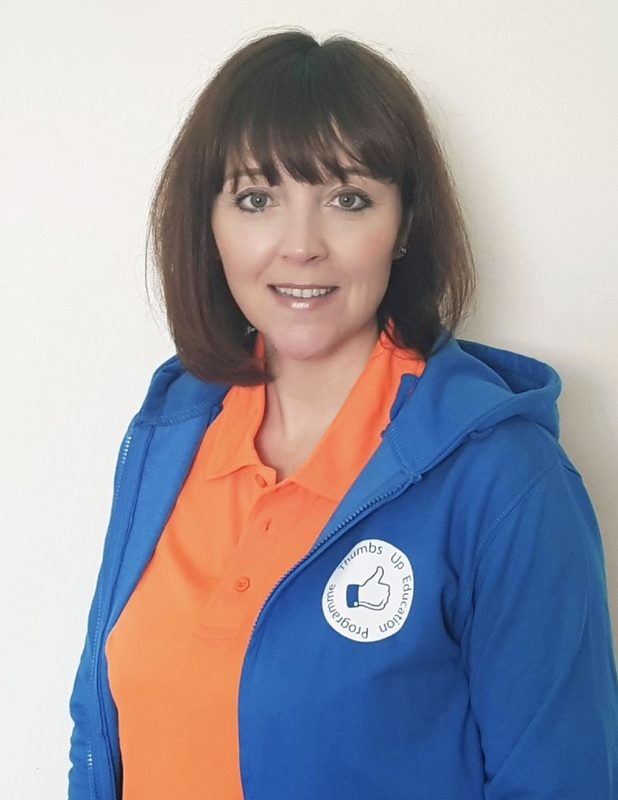 "I have worked with children for many years and schools and nurseries, and as one to one support for children with Special Educational Needs and Disabilities. I have a degree in Childhood and Youth studies, and as part of my studies, I chose to write a research paper investigating the provision available to support the mental health of children in primary schools. Sue kindly agreed to help me by allowing me to observe some of the Thumbs Up sessions. I was so inspired and excited by the work that Thumbs Up are doing within our schools and I am thrilled to now be a part of the team. 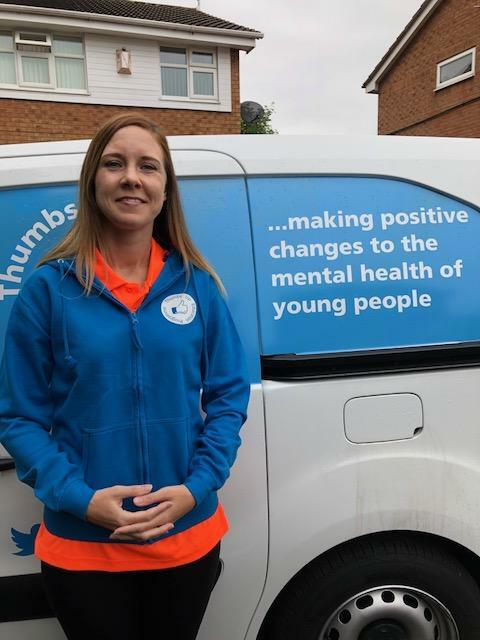 I feel that the increasing pressures on young people and the rise in mental health issues makes Thumbs Up an invaluable resource to empower and support children, staff and families, and I hope to be able to use my knowledge and experience to contribute to this thoroughly rewarding role. My particular areas of interest are the work of Carol Dweck on growth mindsets, mindfulness and the impact of autism of the mental health of children and I hope to explore these areas further as I continue my studies with a Masters in Child and Family Psychology. I have two daughters aged eight and 11, who motivate and inspire me every day, so I find the age of child that Thumbs Up is aimed towards very relatable and understand the challenges that can be faced during these formative years. In my spare time I love to spend family time swimming, cycling, ice skating, visiting our favourite places and watching Liverpool FC!" 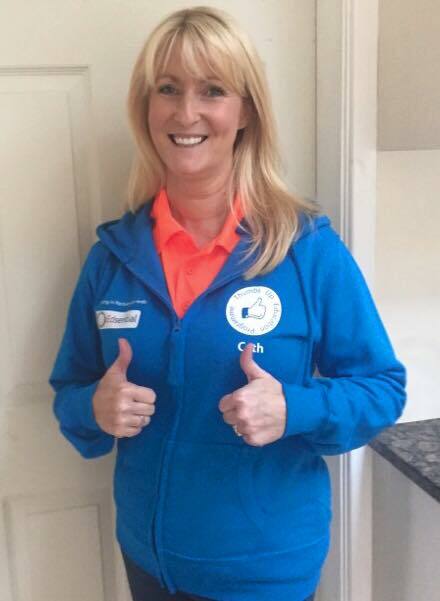 Fun facts about Steph:- "When I was at school I wanted to be a nurse until I did a week of work experience at Arrowe Park Hospital and fainted six times! I also used to take part in Latin American and Ballroom dancing competitions. "I am so excited to be joining the fabulous Thumbs up team! I met Sue at work 18 years ago when we were very very young, in fact when Sue left our place of work to have her daughter, I took over her job! We’ve stayed in touch ever since and I’ve followed the Thumbs up work since Sue began the programme. After working in an office environment for the past 20 years, I’ve decided to make the move into working with children - where my passion lies. The area of mental health is of great interest to me in particular, not just children, but that of the teachers, parents and carers too, as it is becoming ever more apparent that our own good mental health and that of those around us is so important. 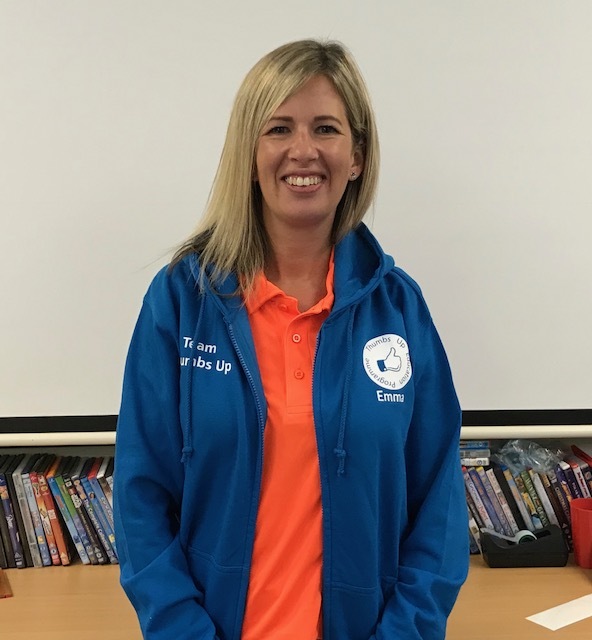 Following observing several Thumbs Up sessions in schools last term with Thumbs Up, I saw for myself what a difference the programme can make to the children (and adults), particularly in terms of their confidence and positivity levels". Fun fact about Emma:- "I like to take on a challenge, and recently climbed Snowdown in the middle of the night for charity. Some people may not see this as a challenge, but given how much I like my sleep, it was quite an achievement!"